The Hotel Ambassador is a four-star hotel at the heart of Kathmandu. 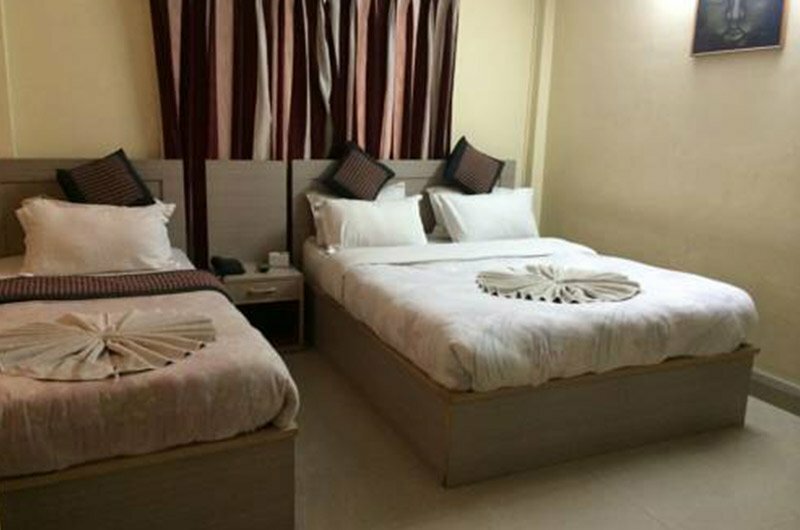 Located in one the most vibrant areas of Kathmandu (Lazimpat), it is an ideal choice for guests who want to experience everything great that the city has to offer, without having to venture too far. Within walking distance of the buzzing alleys of Thamel and the upmarket shopping boulevard, otherwise known as Durbar Marg, the hotel is a private and quiet recluse for guests who want to be at the centre of Kathmandu while avoiding the trappings of a rapidly growing city. The Hotel Ambassador combines contemporary design with local craftsmanship to create an atmosphere that is urban yet unique. The hotel offers a diverse range of accommodations designed to suit the varying needs of our guest. Each room exudes a unique ambience that is inspired by Kathmandu’s evolving identity which revels in modernity while preserving its local heritage and tradition. The accommodations are fully equipped with all the modern amenities, offering guests the comforts they deserve. The Ambassador’s journey started in 1963 as a residential bungalow converted into a ten room hotel. The Ambassador now stands tall at the center of Kathmandu but, while the building may be new, it still carries the legacy of providing guests with an unparalleled hospitality experience for an unprecedented value.